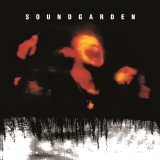 Superunknown is ranked as the best album by Soundgarden. Members who like this album also like: OK Computer by Radiohead, Nevermind by Nirvana and Ten by Pearl Jam. Related links: top tracks by Soundgardentop tracks of the 1990s, top tracks of 1994. Showing latest 5 ratings for this album. | Show all 938 ratings for this album. Horribly overrated by fans and critics alike. It has its moments, but its scarcely a blight on the backside of the far superior Badmotorfinger. I like this album more than Badmotorfinger, and I loved that album. Excellent record. One of my all-time favourites. Sure the hits are fantastic, but Just Like Suicide, Head Down and 4th of July are my favourite songs here and that’s the quality of a great album. Both brilliant singles and album cuts. Love this record! This is a good album. I'm past the phase in life where I would have listened to this more consistently. But it's still a good album. Although more polished and less frantic than the their predecessor Badmotorfinger, I rate this album higher. As commented already, it is easy to listen to this album in whole and not feel it has been too long. Just one great track after another. 179 isn’t near high enough for this fantastic record. Underrated on here. This is light years better than Nirvana and the only grunge album that gives it a run for its money is Dirt. Just look at that track list. Almost every song is an alternative rock classic. Half and kickstand are the only songs that are mediocre. If you’re a fan of the 90s alternative rock sound, this album is an absolute essential. Fell On Black Days puts me in a trance. A dark, melodic, rhythmic trance. Music for the ages.